OUT OF STOCK AND REQUIRES ORDER OF 20 BOXES OR MORE TO MANUFACTURE THIS ITEM.This large and very str.. 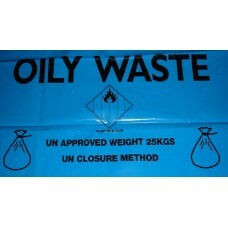 This large and very strong bag with Oily Waste warnings for contents up to 25Kg. Clearly marked Oily..